A recent report in TechCrunch has revealed that a number of companies use a service that allows 'session replay', which can effectively translate into recordings of what users do on their iOS apps. This data can include on-screen taps and text field inputs. Apple has responded by insisting that all developers disclose their use of these services. TechCrunch has posted a report alleging that a number of iPhone apps have been using a service that may allow access to recordings of what users do while they are active. These apps are associated with a number of specific large companies who have been using a service called Glassbox. It offers a facility by which companies are provided with 'screen replays'. These are effectively screen recordings extracted from users without their express consent. Some of these businesses, including Hollister, Air Canada, Expedia and Abercrombie & Fitch, have been specifically named in the article. In theory, Glassbox's services come with screen masking, which should occlude on-screen sensitive information with black bars. However, when TechCrunch investigated further with a man-in-the-middle tool applied by the App Analyst on one of these apps, they reportedly found that some personal information, including credit card information, was improperly masked. This app, which belonged to Air Canada, was also reported to leak unmasked passport numbers in the App Analyst's study. On the other hand, the report also stated that most of the apps evaluated in this manner did not exhibit unmasked data. In addition, Glassbox has stated that its service is intended to help its clients improve the user experience on their apps and nothing more. Nevertheless, its screen-recording techniques run contrary to Apple's user privacy-related practices. The Cupertino giant has responded to this report by demanding that developers disclose the use of this technology in their apps. 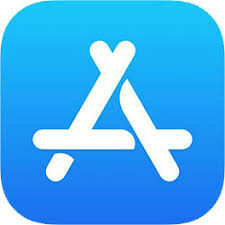 Apple has asserted that those who do not comply with this new directive will see their apps removed from the Store on iOS.